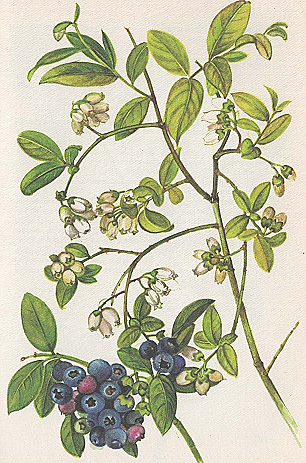 Blueberries, scientifically known as Vaccinium Corymbosum, are evergreen dwarf shrub in the genus Vaccinium and family Ericaceae. It is native to North America but now it is also cultivated in the Southern Hemisphere in Australia, New Zealand, and South American countries. 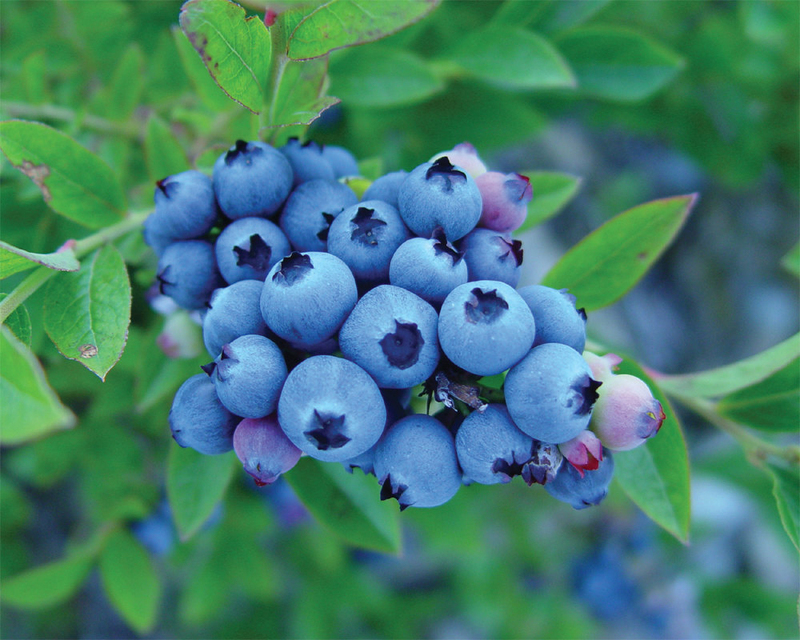 The common names for blueberries are American blueberry, Blueberry, High Bush berry, Northern Highbush berry and Swamp bushberry. It is known from different names in different languages such as (Scots) Blaeberry, (Finnish) Pensasmustikka, (Dutch) Trosveenbes, (Italian) Mirtillo Gigante Americano etc. It was cultivated by Elizabeth Coleman in the United States then it was introduced to the Europe in 1930s. After that it got introduced to the Great Britain, Europe, Russia, South Africa, Japan, Korea, New Zealand, Australia, Chile, Argentina and Uruguay in South America. 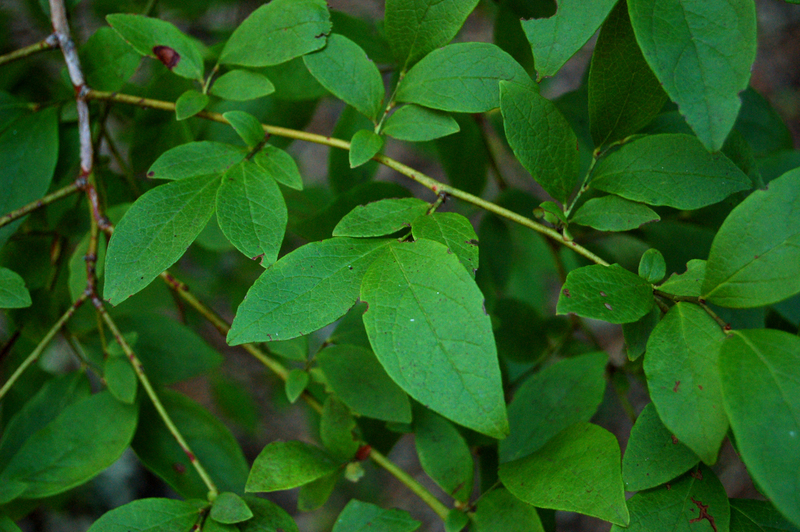 There are numerous varieties of blueberries common three verities are Lowbush, Highbush, and Rabbiteye. It is slow-growing, deciduous, monoecious and erect shrub which grows in very small size 10 centimeters and large shrub grows 4 to 5 meter tall. It is not shade tolerant so it should be grown in open or wooded areas with the moist, acidic, well-aerated and organic rich soils. 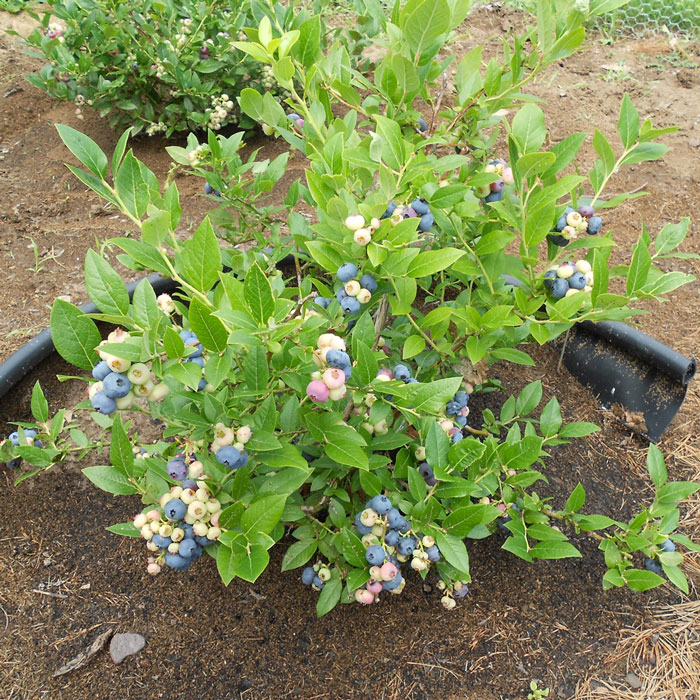 The growing climate of blueberries starts in the Mid-May and usually ends in the September. It has the life span of 20 years. 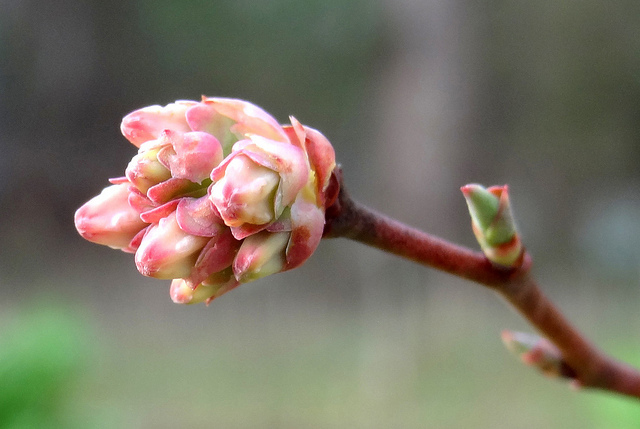 The buds of the flowers are ovoid, red and pointed. 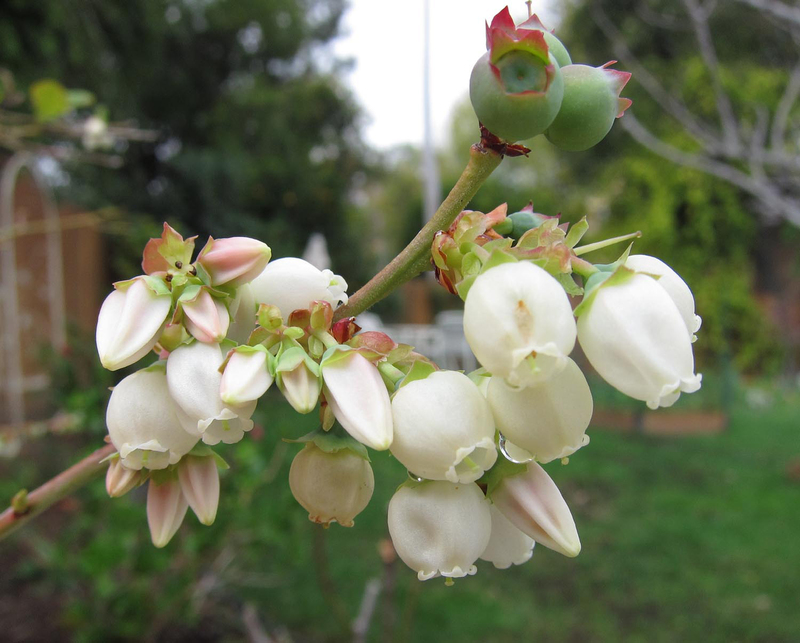 The flowers are white, pale pink or sometimes tinged greenish in color. The leaves are evergreen or deciduous from ovate to elliptical in shape with the length: 1-8 cm (0.39-3.1 inch) and broad: 0.5-3.5 cm (0.20-1.4 inch). The fruit is 5-16 millimeters (0.2-0.6 inches) in diameter in a shape of small bell with a flared crown at the end. It weighs above half a gram. This berry comes in the shade of pale greenish at first then reddish- purple and finally it turns to the dark purple when it is ripened. The ones which have ripened have light green flesh in color. 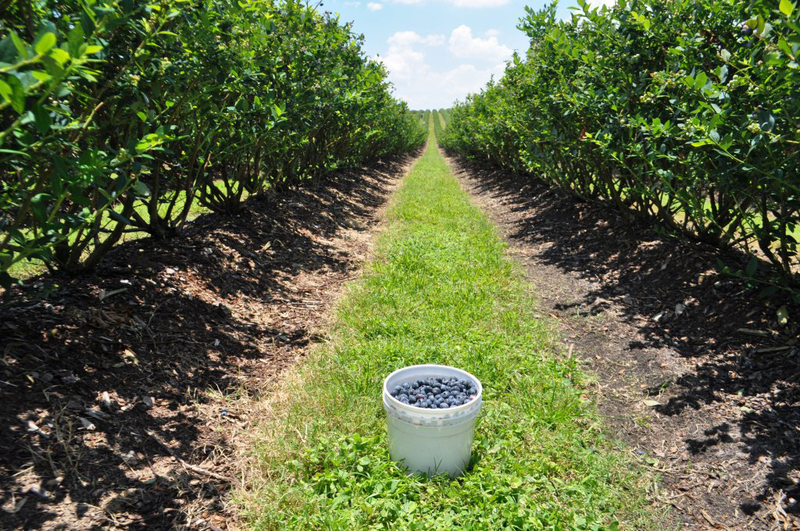 Blueberries usually ripen in the mid-season from late spring to late summer (July to August). It has more astringent and lightly sweet flavor. It has got sweet taste with variable maturity. 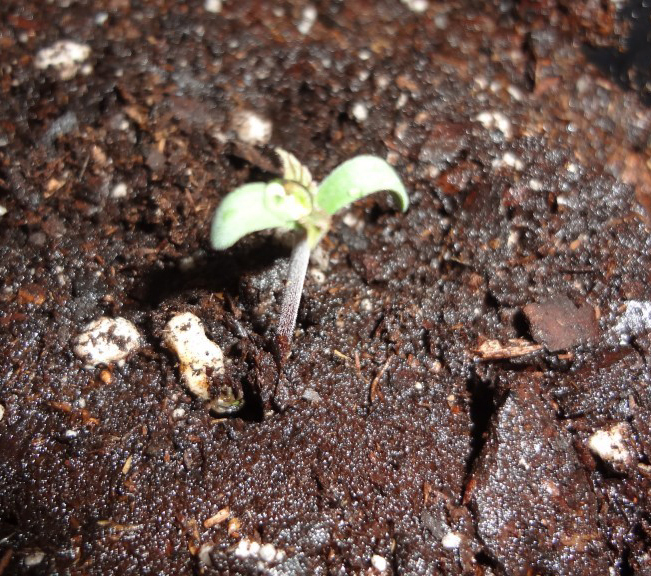 Many soft and tiny noticeable seeds are possessed in the fruit. The blueberries are rich in antioxidants which enhance the antioxidant defenses and prevent the oxidative stress such as cardiovascular system. The evidence which is found also shows that the daily intake of blueberries reduces the oxidative stress. It also reduces the chances of neurodegenerative disease in older adults, younger healthy adults and middle-aged obese adults. 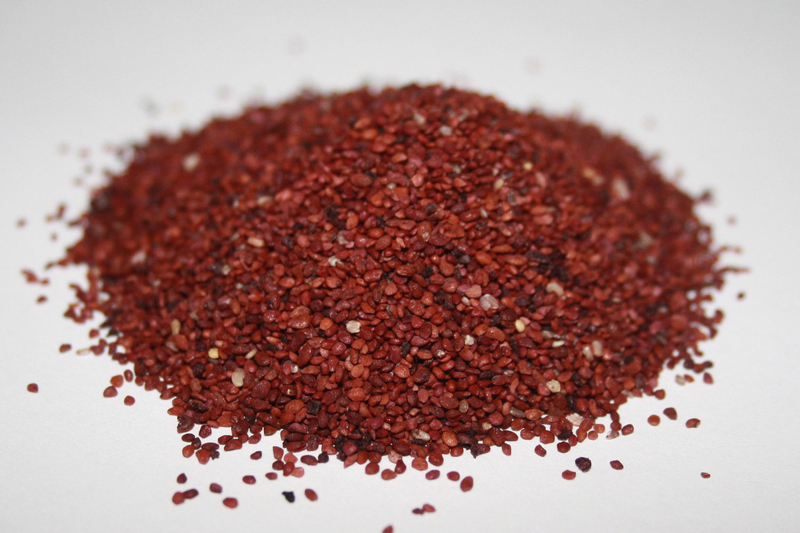 The antioxidant properties also protect the digestive tract and prevent the cancer related to colon. The research which was conducted on the repeated studies of blood composition, the intake of 1-2 cups of blueberry in a day improves the balance of blood fat with the decrease in total cholesterol, increase in HDL cholesterol and decrease in triglycerides. It also shows that it also protects the components of blood from the oxygen damage which results to the blood vessel clogging. 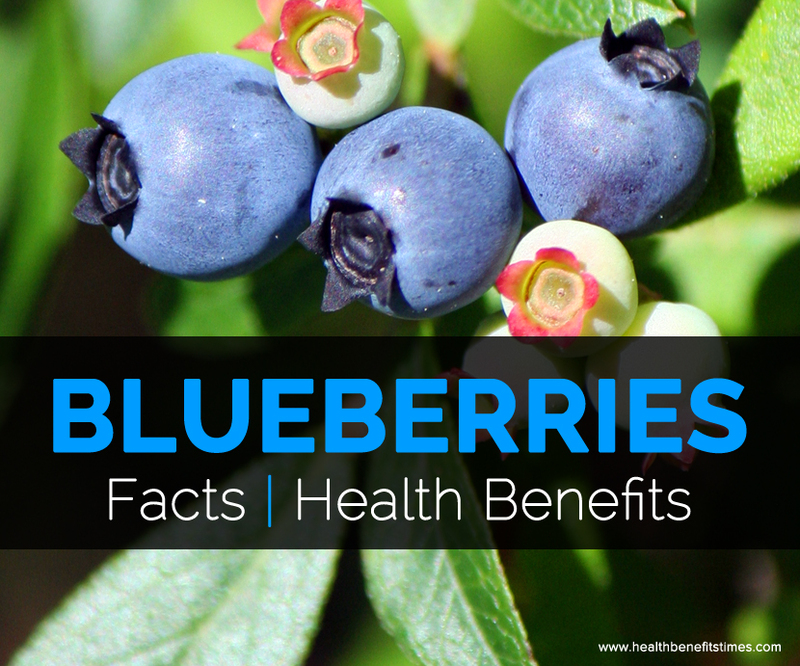 The blueberries are able to raise an antioxidant capacity of plasma. The recent research concludes that the increased activity of endogenous Nitric Oxide Synthae (NOS) helps to balance the function of cardiovascular system. The daily intake of blueberry leads to increase the activity of endogenous Nitric Oxide Synthae (eNOS) which also benefits the cardiovascular system. The study which was conducted on both men and women shows that the daily intake of blueberry assists the healthy blood pressure. The intake of blueberry reduced the systolic and diastolic blood pressure in those people having the high blood pressure. It also maintains the healthy blood pressure. The research which was conducted on the intake of blueberry and blood sugar balance shows that those who had consumed blueberries had the favorable impact on the regulation of blood sugar in the persons with type 2 diabetes. Blueberries are low-GI (Glycemic Index) fruit because it possesses low glycemic index (GI) value. The recent studies shows that the 3 servings of low glycemic index (GI) fruits per day to the patients with type 2 diabetes improve the blood sugar regulation in three months. In this study, their blood levels of glycosylated hemoglobin, or HgA1C were used as the standard of measurement. 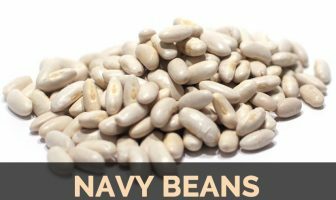 It also possess adequate amount of fiber which is about 4 grams per cup. Blueberries are rich in phytonutrient antioxidants which help to prevent the retina from the damage by the oxidative stress and sunlight. But the more research on this sector is still needed for the confirmation. 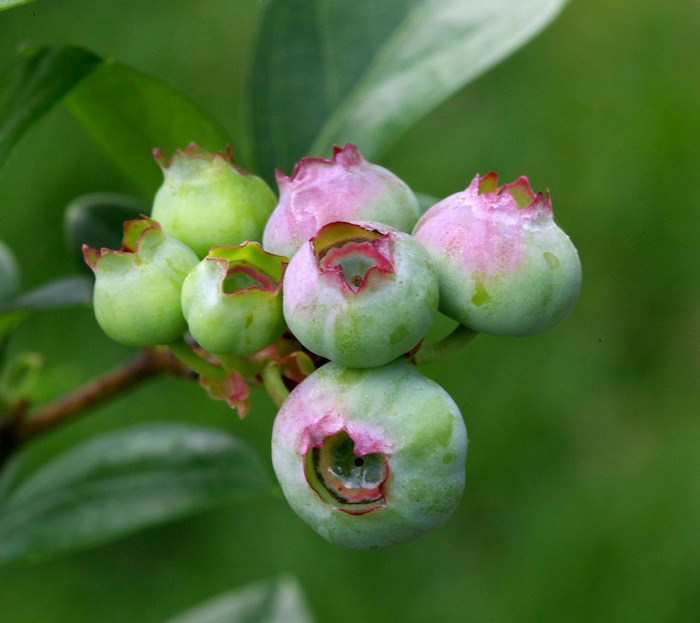 The study on the research, which has been conducted till now, on the laboratory animal and human cells showed the anti-cancer benefits of blueberry. Colon cancer, breast cancer, cancer of small intestine and esophageal cancer is already studied with the intake of blueberry. But the more research on human studies is still needed to confirm the use of blueberry to reduce the chances of these cancers. Pregnant and breastfeeding women are not recommended to use the blueberries. It should be taken in limited amount. 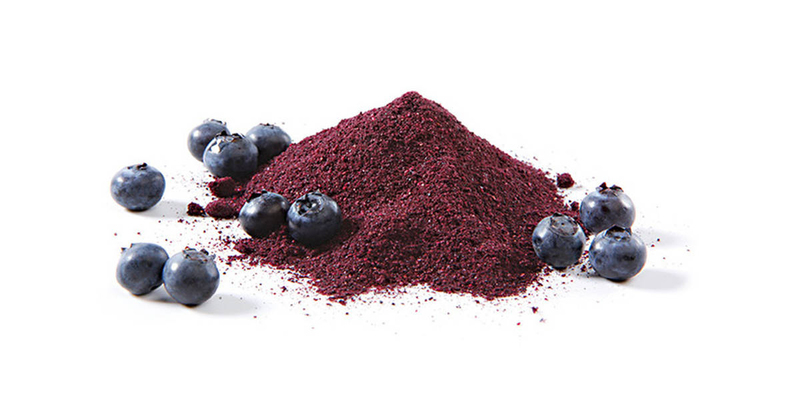 Blueberry should not be used before a scheduled surgery because it could interrupt with the control of blood sugar during and after the surgery. It could also interact with the medications such as glimepride (Amaryl), glyburide (DiaBeta, glynase PresTab, Micronase), insulin, pioglitazone (Actos), rosiglitazone (Avandia), chlorpropamide (Diabinese), glipzide (Glucotrol), tolbutamide (Orinase) and others. Those who are allergic to the stone fruit should avoid this. 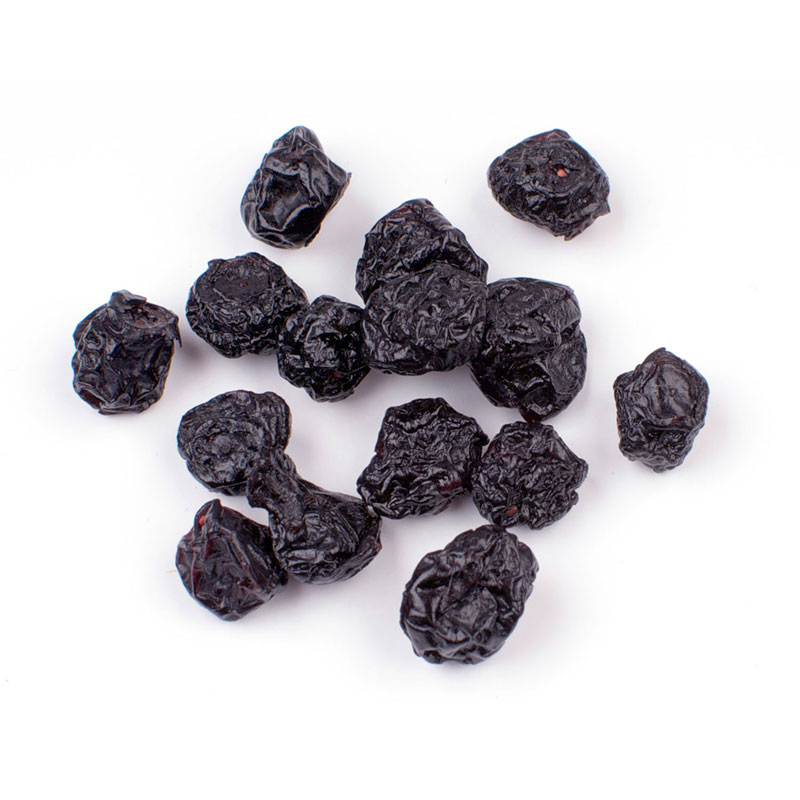 The fruit is consumed by boiling, baked, raw or used like raisins whereas leaves are used to make the herbal tea. It could also be used in the form of jam, wine or raw. Calories 84 Kcal. Calories from Fat 4.41 Kcal.